Boy, did I have fun making this card. 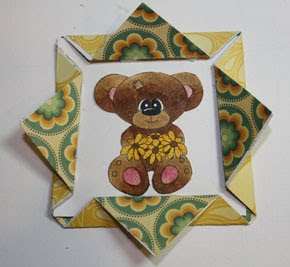 Beth Norman here, with this week's tutorial Tuesday. 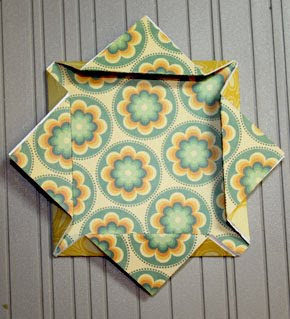 This fold is called the folded paper fold, and is quick to make. 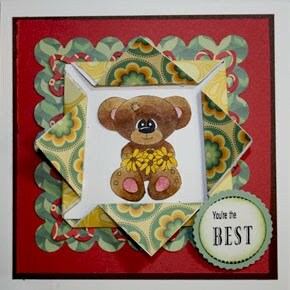 My card uses Boo Boo Bear and You're the Best sentiment. 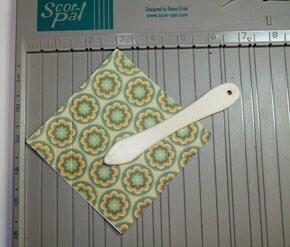 If you do not have a Scor-Pal, simply use your score blade. Turn your paper so it is in a diamond shape. Line up the corners so they sit at the 3" line. Score at 1" and 1 1/2". Repeat until all four sides are scored. Fold your scored lines inwards as seen here. Unfold your flaps and press down as seen in this photo. 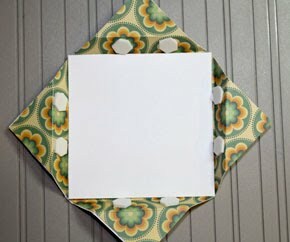 Place your 3" x 3" cardstock into the center of your card. 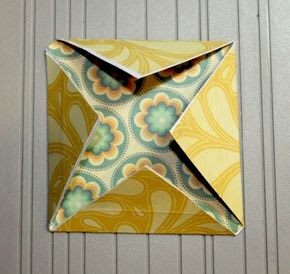 Add pop dots to the bottom inside fold. 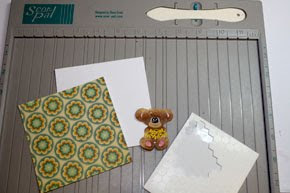 Add your Digital Delight image (Boo Boo Bear here, set at 1.75 inches). Press down on the pop dots to create your folded frame. 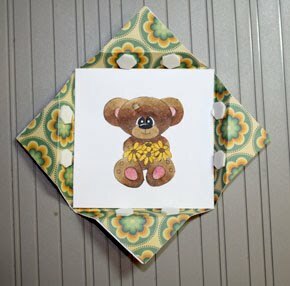 Finished your card as desired.